After putting it off way way way too long, I've been painting the living room. Maybe part of the reason I put it off was because I knew I'd have to "decorate" it then. Some of you are very artsy and gifted in this area. I am not. So, I put it to you, dear creative readers, what would you put on this empty wall? Emily said, "Big family pictures in country frames," which I like but I want more ideas to choose from. 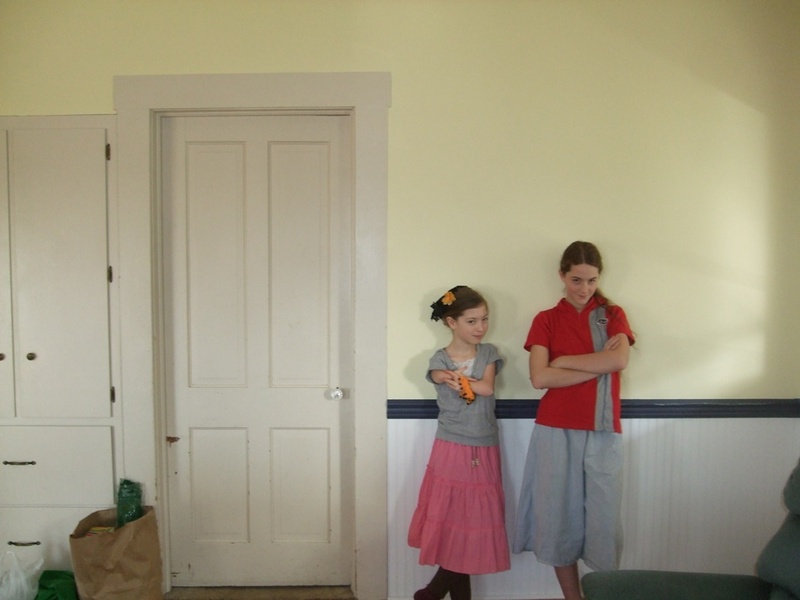 Here's Jenny on the right and her friend and second cousin Dolly on the left posing like cool teenagers, just for perspective. They are not permanent fixtures. Neither is Dolly's bag of dress-up clothes there toward the left. Just fyi--the wall is now a light yellow called Lemon Souffle. All the doors and woodwork will soon be the same white as on the lower right. Most of the furniture is a blue plaid. I like red accents. This is a 100-year-old farmhouse, just so you know, and I am not really into trendy stuff like little pictures of steaming coffee cups. I like wall words, kind of, as long as it's not just one mysterious word like, "PERSPECTIVE." I'd like something that looks at home there and won't be out of style next month. Something cheerful. I'd be open to a narrow sofa/console table as long as it didn't have terribly fragile/valuable things on top, because it would get crashed into in this household, we know that. The door to the outside is just off the picture, to the right. Links and pictures would be great, even stuff on Pinterest. So, what would YOU put there? "Is it possible to keep a beautiful home and still be a nice person? Like most young Christians I hoped to do great things for God, and most of all I admired the Christian women I knew who had that magic way of connecting with people, and to whom people poured out their stories and their hearts. Like my sister Rebecca, for example, who had such an incredible gift that at my grandma's Amish funeral, four different relatives told her, weeping, about their wayward children and asked her to pray for them, this despite the fact that the weepers wore long black cape dresses and white coverings, and Rebecca looked pretty wayward herself, an anomaly in that plain crowd, with a sweater and skirt and short hair. But it wasn't just that I wanted to keep up with my big sister. Hearing and helping people one on one was what I longed to do, more than, say, medical work or teaching or street evangelism. It didn't happen for years, though. People just never seemed compelled to tell me their problems. Oh well. I didn't obsess about it, but tried to do what showed up in front of me to do, which is a good strategy for anyone. It was while we lived in Round Lake that IT started happening. Maybe I was becoming one of those select Christian women at last. But it didn't take me long to discover something else. People's lives are not pretty. Somehow I had always pictured a certain sort of woman across the table, dripping tears into her tea. The dynamic, slim, popular, smart, manicured type that everyone liked and admired. And I would have just the right wisdom to neatly fix her problems. Well. The ones who showed up in my life were not the smart and popular type. They were terribly overweight and struggling with diabetes but still they would eat six homemade cookies with their tea. They had addictions. They did phenomenally stupid things. They had messed up their minds with chemicals and didn't make much sense. They abandoned their children. They had no skills. They were not the sort you wanted to sit beside at a picnic or go shopping with. And generally I had no clue how to help them or fix their problems. Jesus said, "They that are whole need not a physician, but they that are sick." So, if our ministry is going to be Christ-like, it's going to be to the sick, damaged, chaotic, ugly, twisted, unpopular, and embarrassing. And sometimes all we can do is love them and make more tea. Of course, I found out after a while that the slim and manicured often have their own reasons to cry into their tea; they're just a lot less likely to admit it. I've re-learned this many times since: People's lives are not pretty. But that's why Jesus came, because all of our lives are hopelessly ugly without Him. Now you need to go read the post that inspired my cogitations this morning. It's called Ugly Ministry and is written by a young man named Asher who works with his family in Los Angeles, and he puts it way better than I can. Me: Jenny, Rachel told me she saw a hole in Janane's skirt and Janane said, 'Oh, that happened when Jenny and I were lighting candles and one fell on my skirt.' So. What's with this?? Jenny: [flippantly] Oh, Janane and I were lighting candles and then we'd take them to the bathroom and put them under the faucet to hear that hissing sound and one fell onto her skirt. Jenny: Oh, you were in Minnesota. Me: WELL. Just. so. you. know. From now on you ABSOLUTELY. NEVER. play with candles and matches when I'm not there. EVER. You two could have burned the house down and yourselves along with it. Dear me, the stuff you find out after the fact. Ben: Jenny, if you don't like those kinds of lectures, it's a good thing you're going into entomology and not chemistry. I like being Mennonite. Theology aside, I like the coziness of community, of knowing all the stories, of the shared history and culture, and of having people who will be there for me in the tough times. In this writing class I'm taking, we studied a story about southern California, and that sort of culture, where there are hordes of people but everyone lives only for himself, and people are utterly disconnected and alone, and I found it horrifying. True, sometimes it's all a bit much, like when I feel like there's more asked of me in helping others than I have the strength to give. And sometimes everyone knowing our stories is a bit much too, like yesterday Emily had breakfast with her grandma who said, "I was talking with my friend 'Gladys Gerig' and she said you were at Fairview Sunday morning, sitting between two young men!" So, the laborious explanation. See, one was a college friend 'Sam' who just recently made the choice to follow Jesus, and Emily wanted to take him to church, and he doesn't have a car, and Fairview was a lot closer to Albany, and then 'Jason' offered to get involved and befriend Sam, to reduce the potential awkwardness for Emily, and so they all showed up there on Sunday. This will get passed back up the line to "Gladys," we all know that. So, yes, this writing class I'm taking. After a rough beginning it's going well. They say writing is a process of discovery. Non-writers don't understand this, but it's true. You'd think you write only what you know. Obviously. But when you start actually writing, either fiction or non, you find yourself writing stuff down that you didn't know was in your head. We have weekly assignments, only 500 words each so you can't write much. I'm focusing on Mennonite stories of course, since my goal is a Mennonite novel. Somehow I always seem to write about a harassed Mennonite mom (surprise!) but instead of being all useful and cozy in this church community of hers, she comes across as completely smothered. Emily: It just doesn't GO with the table. Me: Well, heaven forbid that the TEA COZY doesn't GO with the table! Emily: I knew you'd understand me, Mom. Jeanette over at Baileyandme recently posted a wonderful piece about guilt and condemnation and Romans 8 that you should go read. What caught my eye the most was the part about "mom guilt." As in, moms feeling guilty not your mom making you feel guilty, a worthy subject of its own. I am an expert at mom-guilt, and my sister Rebecca and I used to sit up late and tell guilt stories, which Paul thought was really a waste of our precious time together. But we both needed the sympathy. Mom guilt anyone? I am going to be completely honest. Sometimes mom guilt almost completely eats me alive. I still remember before I had children (and was wanting them badly) I heard a Focus on the Family program about that very thing- Mom Guilt. My mouth was just kinda hanging open. 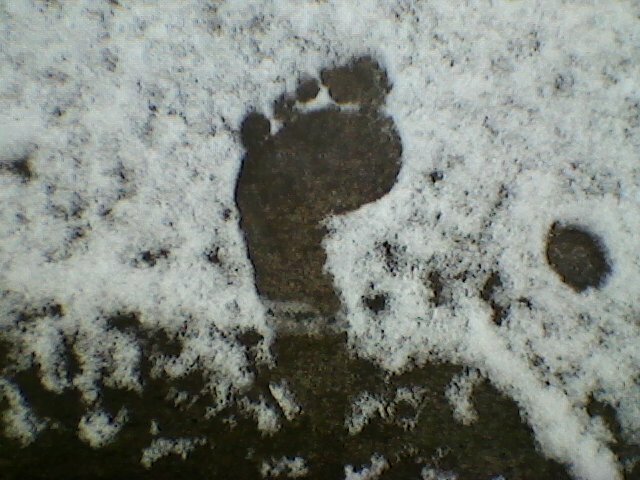 I didn`t have children- I had no idea this monster was out there. I thought about that program for DAYS after- and just chewed on it in my head. And then I had two (thank you, JESUS.) And ever since then, MG has kinda hung out with me. Here is how it manifests itself for me. It`s Monday- everyone/everything needs me. The house is all piled up with work. My calendar looks full for this week. So MUCH on my mind. . . Well, the girls are going to be knee deep in playdough, movies, and art projects on the table for today. My girls are almost-3 and 4, and they can go “auto- pilot” pretty easily actually. They are happy mostly- it kinda works. We go this route for 2 maybe 3 days, and I am axing things off my mental “to do” list. On day 3, once life has slowed down for the week, any of the following could happen: I am inspired/condemned by all the “do it with your kids” pins on Pinterest. Someone in my Facebook feed really goes out of their way and does something amazing with their children. I dwell on the fact that teaching is not my gift. I am horrified by a sad story of a homelife of someone else- fear grips me- I think, what if that happens to us if I don`t Quality Time my girls enough. I read a Bible passage, and it condemns me- not convicts me. I let MomTalk make me feel failing. I feel too tired (I have nothing left to give) to read stories, and dream of being a better me. Then that night, resting festering in bed- I let MG take over. I feel condemned for my weaknesses and any TINY fault I see in my girls I think. Have I made them this way with my dysfunctional, human ways? There's a lot more. You can go read it. I so resonate with this post – sometimes the things that I know I should be improving in/doing better as a mom are so overwhelming that i feel like I need to bury those thoughts in computer/fun things/etc… just to get away from feeling like such a failure. I struggle SO BAD with mommy guilt. Mom guilt and I seem to have a never ending battle…. it’s so hard when I feel like I give give give of everything in me but its somehow never enough and everyday I pray for the wisdom and strength for today and yet at the end of the day it seems to have eluded me. As an “older” mom I understand every word you say and yet I wish so bad I could make it easier for younger moms. If I could say one thing to all the young moms out there and myself as a young mom it’s GIVE YOURSELF SOME CREDIT. My stars. It’s the toughest job on earth, and so anonymous, and doesn’t pay a penny, and has no value in our society, and yet there you are, showing up every day, not getting enough sleep, fighting pregnancy problems and sickness, like Carmen up there, and making sure these children are taken care of. I never “got” this until I saw orphans in Africa. A child with no mom is one of the most heartbreaking sights I’ve ever seen. You look in their eyes and oh my goodness, the empty empty deep deep sadness….and every one of them would give their right hand to have the most flawed, imperfect mom among us. If I saw your children’s eyes, they would not look like orphan eyes. They would look like the eyes of children with mommies. I’m sure of it. My daughter takes care of Jamaican orphans. She came home for Christmas and was amazed at how little kids at church run around TALKING. Little Jamaican kids at the orphanage don’t talk because no one talks to them. I’ll bet your little kids talk too. See? You’re their mom. You show up. You’re there. And it shows. Some time ago I gave a talk on this theme, entitled, "Calm Down; It'll Be Ok." I probably had more of a positive, heart-deep reaction to it than to any talk I've given before or since. Some said it was the first time they'd heard a talk for moms that affirmed them and didn't make them feel like they'll never measure up to the ideal. So I have made it a goal to affirm young moms in what they're doing. Last week Paul and I were in the grocery store and we ran into a neighbor/shirttail-relative and got to chatting. He talked about what a blessing it is to see his children grown up and doing well and living close by, and then he said to me, "I read your articles, and it seems like you worry about your children, and I think you probably don't give yourself enough credit for the job you're doing with them." Somehow that was just what I needed. I guess it's not just young moms that need encouragement and need to be told to give themselves credit for showing up and getting the job done. Me: I have a talk this afternoon. Thanks to everyone who commented on the post about the short story writing class. You all helped give me clarity and a balanced perspective and I am grateful. I also had an email conversation with the teacher and we didn't agree but she was very understanding and ended up asking to forward our conversation to her mother, as the two of them have often discussed that very thing, and I gathered we two moms were of one mind. 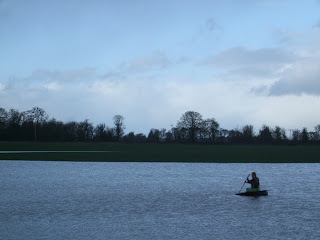 We've had some wacky weather this last week, first snow and then lots of rain and then flooding. The worst flooding was north of here but we had our share of high water, including a bit of drama at school when the Calapooia River flooded the play shelter and then when Paul sent the kids home early but the roads were blocked. You can read our friend Justin's take on this here. Steven ran out to the road for the newspaper in his bare feet. Jenny made a snowman with a proper storybook nose. Here's Muddy Creek, with the old bridge under all that water somewhere, and our warehouse in the background, thankfully high and dry. Here's Jenny out paddling in the ryegrass field. She so badly wanted to go boating on all these "lakes" and if you know her, you know how determined she is once she gets an idea in her head. First it was an air mattress, which buckled in the middle and she got drenched. She tried a round galvanized tub and a green Rubbermaid tote that also dumped and drenched her. She begged Paul to bring the canoe home and talked about paddling it down the creek herself and then hauling it across the road. Muddy Creek is about the size of the Mississippi right now and I said absolutely. not. are you canoeing on Muddy Creek. Someone suggested an inner tube. Paul said he had one at the warehouse so today he took Jenny over there and pumped the tube up for her and brought it home. Steven helped her haul the inner tube and a half piece of plywood across the road. Jenny brought a canoe paddle, and soon she was off on Lake Ryegrass, as pleased as if she was sailing the Seven Seas, headed for Australia. Meanwhile, others in Oregon have lost houses and property and even lives. We were spared the worst and are thankful. 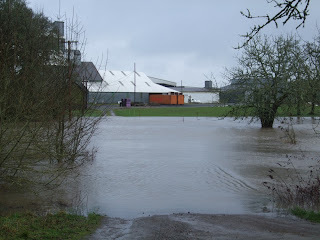 We've had lots of rain here and everything is wet and soggy. Lots of high water but it's still two feet lower than the flood of '96, Paul says. Here are a few pictures. In the last two weeks I have thought more about stories than in the rest of my life put together. As you may know I have talked of writing a novel for years. The trouble is that I don't know how. So a while back I decided it was time to take a class and learn. I looked into community college evening classes but needed something more advanced. I looked into the U of O's writing program. It was just what I wanted but they wouldn't let me take a class here and there; I had to be enrolled in the program. I posted a question on Facebook: did anyone have an online class to recommend? And like Pip in Great Expectations and many characters in Lucy Maud Montgomery's books, I got something I wasn't expecting at all: a benefactress. Two of them, in fact. Two women from a northeastern state have read my writing for some time and decided they wanted to pay for an online class for me. From Stanford. Such a golden peach hanging right in my face. How could I not pluck and eat it while I had the opportunity? But goodness, how could I find the time? Well, after Christmas Ben would be in Bible school. Christmas would be over, of course. Emily could teach the writing class I was teaching at Brownsville. 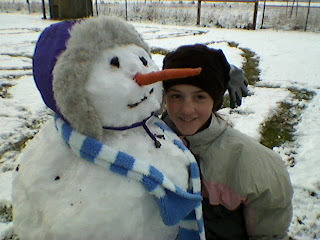 And Lisa the niece would be back from Poland and could help me out with housework again. So I signed up for Short Story Writing. The novel-writing class was too advanced and also I needed prerequisites. So I have had stories on the brain. Characters and the decisions they make. Point of view and narrative voice. Setting and plot. And just a lot of thoughts, outside of the curriculum, on stories. What is a story, really? Why do we tell stories, and what makes a story a story rather than an observation, a news item, a description, a list, a fact, an illustration, or a lecture? I'm realizing that my concept of stories, particularly GOOD stories, isn't everyone's. --family yarns, such as Mom's stories of growing up in the Depression or my grandma's story about climbing the "vintboomp" (windmill) to see the "volf" or the Kropf/Knox stories about this house and the 75 cousins within 5 miles. --novels such as Tom Sawyer and A Tangled Web and Great Expectations and All Creatures Great and Small and Pride and Prejudice and a thousand more. --true-life stories such as Evidence Not Seen and Schindler's List. So what is a story? It's characters, and they do something and things happen to them, and something about them or the situation changes, and it all looks pretty dark for a while, usually, and then things are put into place and clarified and resolved, and then the story ends. I never thought of myself as a snooty reader until I came to realize that there is a whole universe of literature out there that seems to look at what I consider "good stories," the same way I look at the whole universe of Twilight books and most Amish novels and all those little paperbacks you see at garage sales, with pictures on the front of gasping ladies bent over backwards by hairy men with names like Flint and Torque, not that I'd ever read those books you understand. And the whole universe that looks down on my beloved stories as just that tacky is the world of Fine Literature, as in highbrow, deep, college-literature course, New Yorker Short Stories. Which we seem to study a lot in this class I'm taking. Somehow in high school and two years of college I never ran into stuff quite like this. They come in nice hardbound books with impressive titles like Collected Short Stories of Jon Arbuckle or Great American Short Stories. I feel a bit like the child saying the emperor has no clothes, because the truth is these "Short Stories" aren't actually stories, at least how you and I think of stories. They are pieces, descriptions, sometimes monologues. Generally, you have a dreary, dark, depressing person in a dreary, dark, depressing situation. A few vague and dreary dark depressing things happen, or are done to him by other dreary, dark, depressing people, and then everything stops. Or sometimes nothing actually happens. Or maybe someone dies first, or things get a bit worse overall. No one learns anything. Nothing changes for the better. The plot generally involves alcohol, abuse, anger, alienation, infidelity, deception, and despair. Or sometimes the entire thing is just one person talking, like a mother to her daughter, going on and on for two pages about how to do stuff around the house and occasionally running her daughter down in in a very destructive way, and then she stops talking. That's it. Nothing works out, nothing makes sense, nothing is clarified. This apparently qualifies as a "short story." These writers certainly have something to offer in creating vivid characters in vivid settings with a vivid sense of emotion, enough to keep you awake at night, so there's plenty for me to learn from them in that regard. But I'm realizing for the first time how important it is to me to have things work out in the end. I am known for tying things into a neat bow at the end of all the essays I write. Most readers seem to appreciate this, but I've run into a few literary types who gently poked fun at me, like if I could somehow reach their Enlightened Plane of Being, I would realize it's so much better to leave it all dangling and vague and unresolved. Which brings us back to the questions, "What is a story?" and "Why do we tell stories?" I think we all live among fragments, sadness, conflict, just hard stuff. And we long to make sense of it, to know that it has some sort of meaning. But we don't get to see the end of the story and how it all works out for years and years. So we love stories. True stories, after the fact, where the people were like us and the situation a lot like ours but it all worked out and the pieces fit together and even the sad things were redeemed in time. And made up stories, again, like our lives, where the writer looks back and sees the thread running through the whole thing and ties it into a bow at the end. Maybe those of us who grew up on the Bible have a greater expectation for stories like this. There's the thread of redemption running through the whole narrative, even through famine and slavery and captivity and judgment and death, and in the end it all works out, and justice is done, and good rewarded, and secrets made known. The same thing is true for shorter stories within the Bible--Joseph, Ruth, Esther, Nehemiah, and so on. Believe me, I get plenty of dark, depressing, dreary real life all the time, especially with all the times people look to me for answers and I have no idea what to tell them. The young man didn't get the job he was counting on, the creepy relative snuck off with the young boy at the family gathering, the person in charge won't listen to anyone, the other student won't stop when he's told to stop that, the in-laws think the parents are destining the kids to Hell....well, that was just in the last week. The stories for this class feels like way too much of the same. In my limited recreational-reading time, I need true-to-life stories with some kind of redemption, resolution, and answers. Of fragments fitting together and things making sense, where I can close the book and go to sleep. So, the class is worth it because I now know clearly how I want to write. I know that I will always be somewhere between Alice Munro and Barbara Cartland, very middle-brow, I guess, between the New Yorker and the National Enquirer. I hope to write fiction that sounds like real life, but looking back, where there really is a thread running through, and you can see how things worked out, and it gives you a bit of hope and courage that someday your life will make sense as well. This time the find in the pantry was Bisquick. 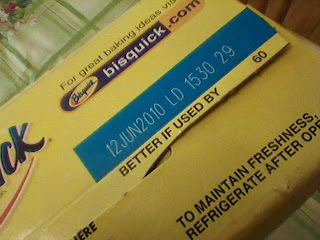 It's been there a long time, and I don't know why I ever bought it, because I don't even like Bisquick. It's just as quick to make your biscuits and things from scratch, and I like to make them with half whole wheat flour. Yes, it's been around a while. But what's going to go bad in Bisquick? I froze lots of blueberries the last two summers. 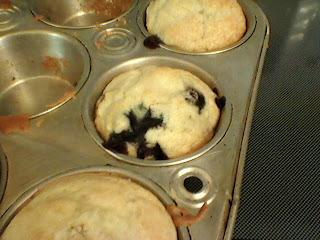 I googled "recipe Bisquick blueberry muffin" and made these for breakfast. Everyone loved them. Unfortunately they didn't use up nearly all the Bisquick, but if it's kept this long, it's good for a few more batches in the next weeks. "Last night Ben was like, 'Where's my flashlight?' Click click, turns on his flashlight, shines it around looking for his flashlight. I was like, 'Ben, isn't it in your hand?' He's like, 'Uh...yeah.'" This year, I am determined to Use Things Up. You tend to accumulate a lot of food items if, like me, you a) cook from scratch b) shop in bulk c) shop at discount stores d) have a big pantry e) have a lot of people to cook for and f) have Depression-era/Amish parents who taught you that throwing out perfectly good food was right up there with cheating in school and parting your hair on the side. So. I buy ingredients, either for a specific recipe or because they're cheap, and I use maybe half the bagful, and then they ooze to the back end of the pantry shelves and there they stay. I'll post my first two successes in this area and if I have any more victories, maybe I'll post those too. 1. I threw out that one...oh dear, I can't even name it, with Christians starving in Yemen. But the expiration date was 2008. 2. I made cookies. This is the recipe that my sis Margaret always makes when she has leftover stuff to use up. She even emptied the pantry into a batch one day and announced that she was going to sell them at her garage sale the next day. Her husband Chad said, "Naaawwwww," in that skeptical way that only guys from the Deep South can say, "Naaawwwww." "Wait and see," said Margaret, in her quick snappy Yankee way. Of course, she sold them all. Now stir in pretty much whatever leftover bits of ingredients you want. I made a double batch and added 1 cup wheat bran, 1 cup coconut, 1/2 cup m&m's, 1/2 cup chocolate chips, 2 tablespoons chopped peanuts, and 2 cups peanut butter chips. Drop on greased cookie sheet. Bake at 350 for 12 to 15 minutes. Me: Jenny, please. The Bible says there is "a time to embrace, and a time to refrain from embracing." Emily: Wow, you really do have a Bible verse for every situation. January's column is a casserole I stirred up from ingredients in a few recent blog posts. It's for all of us who try to manipulate things and make them how they ought to be. How do you make a situation change? We all say, if we have eyes that work: "Something ought to be done there." We have a big, dark parking lot at church. And we have lots and lots of children at church. And we have lots of evening services and also social functions involving finger foods and fellowship after a service or program. While the parents eat and fellowship, the children play. And invariably some of them play in the parking lot even though there are lots of other places to run around, such as the play shelter, ball field, and sidewalks. Many times, I've gotten in the car as little people went darting here and there, barely visible in the darkness. It happens in broad daylight too, but is obviously worse at night. I've nearly had heart failure a few times and believe me, I back up with extreme caution and sometimes I tell Jenny to get out and make sure the coast is clear. I've talked to Paul about this but he always acted like it was just one of a long list of things, like Steven's messy room and the weeds by the hedge, that I get worked into a stew about and if he gives me a little sympathy it'll soon pass and he won't actually have to do anything. Yesterday a friend of mine talked to me about the same problem, as she almost ran over a toddler and later two girls darted out right in front of her from behind a parked car. You know, ultimately this comes down to parents being responsible for their own children, but if any of us backed over a child, we'd never forgive ourselves. I know some parents are more relaxed and/or oblivious than others, and I am still finding out things I should have known but completely missed when the kids were little. So I know how easily these things can go on unawares. a) do nothing and pray hard and trust God. b) go talk to all the parents one by one and re-affirm my reputation as an interfering nag. c) put something in the church bulletin and hope everyone listens. d) try to persuade the trustees to bring it up at the next business meeting and tell everyone sternly to keep the kids off the parking lot. e) try to persuade a minister to give a stern pre-sermon admonition. f) patrol the parking lot with a pitchfork during every finger-food event. g) wait for a child to get run over, and then surely no child will play in the parking lot, ever again. Problem solved. h) post about it and hope everyone in church reads my blog, but I'm sure they don't so that probably won't work. This applies to a lot more than just kids in the parking lot. There are just an awful lot of situations in the world that ought to be changed. Generally, people think "someone" ought to do something and if they come to me with that, I say, "If you noticed the problem, it's your sign from God that YOU are supposed to do something." But it's not always that easy, and I'll bet you could name three situations right now where you would love to change things but don't have a clue how plus you have no authority/power in the situation. And you could name three people who are always out agitating for change and driving everyone crazy. 4. Wait an awfully long time. In this case, I'm really not sure that anyone is "in charge" of the parking lot. How about you? Have you ever changed a situation, and how did you do it? "41 degrees and drizzling on Christmas Day--that's how it's supposed to be!" Ever since I posted about my name I've been having these odd conversations about it. Like the other day I bought cat food at Kmart and handed the my-age-ish cashier my credit card. She squinted at it and said, "Is this your husband's card?" "I don't think so. Can I see it?" "No, that's mine." She said, still squinting, "But, this first name on here..."
I said, "Yes. That's Dorcas. It's my name. It's from the Bible." She smiled and nodded and said, "Ahh." Today was the last day of the children's Christmas break. Jenny sat here reading Upstairs the Peasants are Revolting. It was very gratifying to get her take on it now and then. At one point she made an odd noise. Jenny: Nothing. I just sighed. Jenny: It was a happy sigh. Jenny: Never mind. You'll just have to read the book. I went shopping at Grocery Depot on Saturday and found a little bottle off by itself of something called CONTENT-EZE. It featured a picture of a nice yellow cat and this description: "A Nutritional Supplement Which Supports Feeling Of Contentment In Your Cats"
and "Contains Amino Acids To Help Your Cat Feel Content." Oh my! Should I get it for Ebenezer the Yowling Kitty, who was still yowling after a week and about whom I confess I had done a discreet internet search for easy, cheap, painless, humane, clean, do-it-yourself euthanasia methods, since I was convinced it was suffering from stomach cancer. The bottle was marked $2 and I qualified for a 10% discount because of Emily working there. Feeling like a person who would buy little fleece jackets for her shih tzu, I bought it, knowing it wouldn't do any good. The directions said, "SHAKE GENTLY BEFORE USE." I figured the cat would yowl even worse if I shook it, gently or not, so Jenny and I fixed a dish of leftover tetrazini, gently squirted a teaspoon of CONTENT-EZE on top, and fed it to Ebenezer. We repeat the dosing daily, just in case. I am wondering if I could discreetly pinch some CONTENT-EZE for myself. I mean, my children have been scattering to the winds after all being home for Christmas, and I have done a bit of yowling myself. 1 teaspoon per 11 pounds of cat. I can do the math. Okay, so I'm supposed to write a post about being the youngest in the family. Being the youngest in the family has its ups and downs. There is the endless receiving of junk (which often pleases the younger members of the family), and the many nights spent alone because all of the older siblings have gone to some exciting party that you can't go to. Then there is the attention. Youngest children tend to feel upstaged by there older siblings (at least, I felt like that). Because of this we try as hard as we can to get attention. So, how do you get attention? You act silly and/or crazy and/or cute and/or annoying. Problem solved. Everyone either thinks you are super cute or super annoying. When older siblings get to do cool things like get together with friends and watch a movie, or go to a new years party with the youth group at church, it can be very hard on a younger sibling. I know several other people my age who face the exact same thing. Our sibs run off to do some cool thing, we have to stay home with Mom and Dad. Not that Mom and Dad aren't great, but who wants to stay home when you should be doing something awesome and exciting with your friends? So I guess what I want to say is that being the youngest can be great. It can also be very tough. I think it kind of depends on how we react to it.